Proudly Offering The Best New GMC Sierra 3500HD Car & Trucks Deals in the Cheektowaga & Lockport Area! Williamsville, the brand new GMC Sierra 3500HD is a heavy-duty truck built to do the heavy lifting. 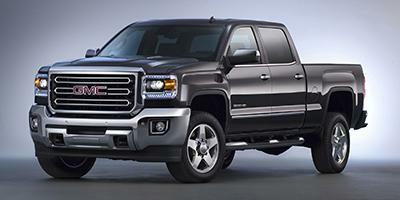 Cappellino Buick GMC in Williamsville offers an extensive inventory of the new GMC Sierra 3500HD. It comes with a V8 engine and six-speed automatic transmission. It also has external transmission cooler and external engine oil cooler features. For entertainment, its infotainment system comes with an eight-inch color touchscreen, Bluetooth connectivity, and also has a premier speaker system. Safety is not an issue here, because Williamsville, the GMC Sierra 3500HD has features, like lane departure warning, forward collision alert, and front and rear park assist. Get in touch with us to know more. Thank you for choosing Cappellino Buick GMC in Williamsville - Buffalo's top New car, truck & SUV dealer! At Cappellino Buick GMC we're committed to saving our customers money on their next New vehicle purchase or Buick, GMC lease - while offering an amazing dealership experience. Please don't hesitate to contact us online, call us at: (716) 650-4471, or visit our New GMC Sierra 3500HD dealership near Cheektowaga & Lockport!